The Codex will unlock the potential of any system for a true to life listening experience. Our fully-balanced design provides an inherently clean and quiet backdrop for your music. This zero-feedback system maintains all of the pace and rhythm of your favorite artist, rendering your digital music as effortlessly as if it were live. This affordable, best in its class; DAC+Headphone Amp, is a great gift for yourself and/or the music lover in your life. At Ayre, we are confident that you will love the sound of our products and their outstanding build quality. 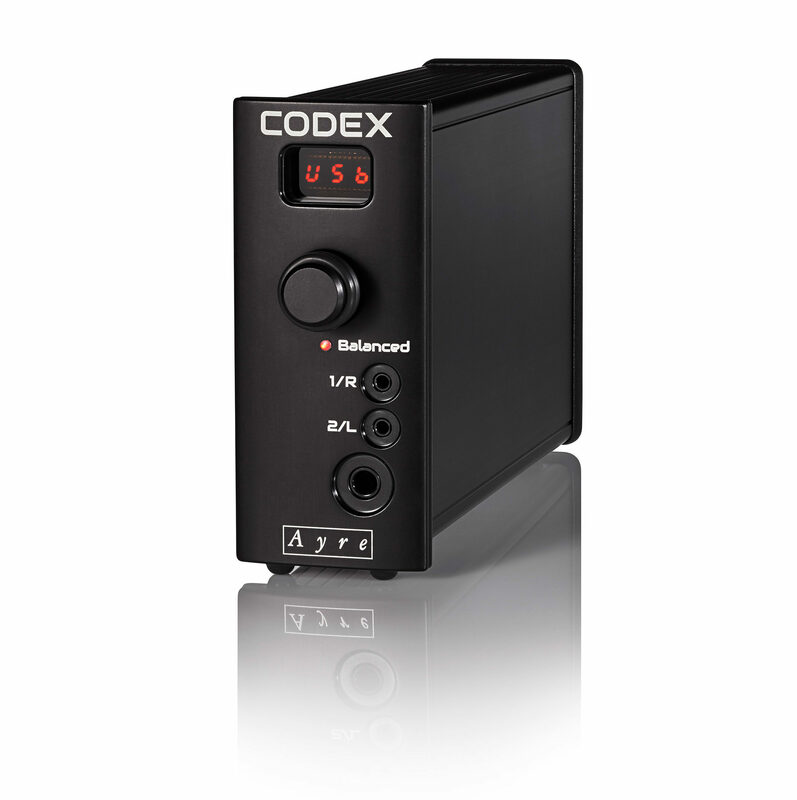 If for any reason you aren’t happy with your Codex purchase, contact us within 30-days of receiving it and we will arrange for its return, issuing you a return authorization number and arranging a call tag or shipping label to return your product. Once we have evaluated that the returned product is in like-new condition with all packaging and accessories, we will issue a FULL refund. Please note that this policy applies to US sales only that are purchased through our Superphonica store or directly from Ayre Acoustics.